Thank you for visiting the Meadow Lace Photography Blog! Thank you for subscribing to my blog! You will receive an email shortly to confirm your subscription. Hello! My name is Lindsay and I am the lead photographer and owner of Meadow Lace photography. I am a Michigan wedding and portrait photographer and live in Jackson, MI with my husband and three boys. If you are interested in booking your wedding or a session with me, you can contact me here. Hooray for holiday deals! This is the best time to get gifts ready for family in time for the holidays! 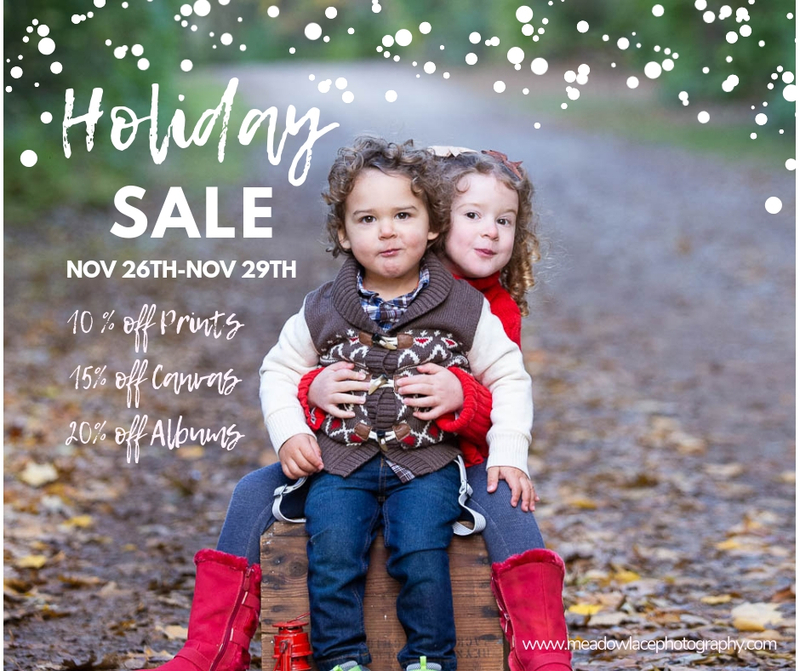 Order straight through your online gallery to grab some great savings on prints, canvases, and albums this Monday - Thursday! Happy Shopping! Thank you for subscribing to Meadow Lace Photography! Check your inbox for a confirmation email and for updates and special offers!